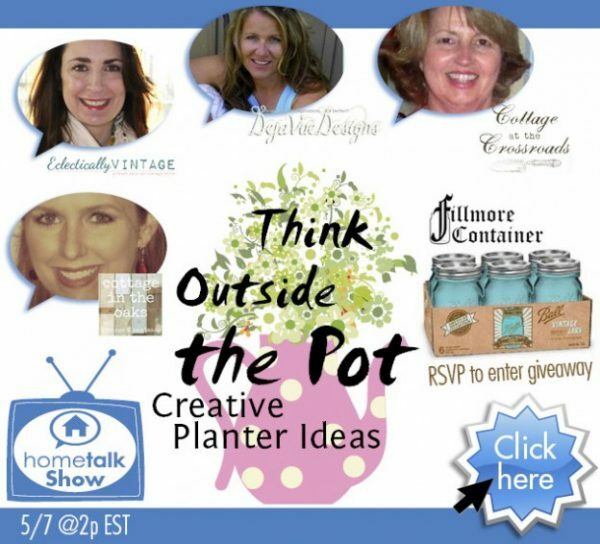 You’re Invited to Think Outside the Pot with Me! You all know I love thinking outside the pot and coming up with creative ideas for my garden. 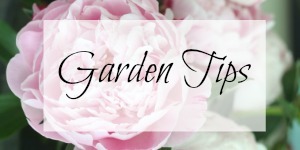 Join me outside on my vintage glider as I chat with three other creative gardeners. Jane from Cottage at the Crossroads, Daune from Cottage in the Oaks and Tammy from Deja vu Designs. Watch us live (hopefully no bloopers) as we share some of our favorite, unique container ideas with you and show you how we made them. Want more inspiration for your garden? P.S. Dress code anything from pjs to sweats since you’ll see us but we won’t see you! Hope you’ll join us. I love this but I will be picking kids up from school when you go live. I will have to see what you are up to when I get home. No problem – you can watch the video any time after! Sounds like so much fun! Can’t wait to see what you come up with! Hello, do I need a goggle account for this? Hi Shawn – no you don’t need a google account to watch! That is nap time from the little cutie here on Tuesdays, which is perfect timing of course. Unless I nap with her. So many great planting ideas, Kelly! I finally got to watch the Hangout and it was full of super creative planting ideas. I finished my chair planters on Friday and I’m so happy with them. I just can’t wait to watch the plants mature and fill out the chairs!!! Love this! 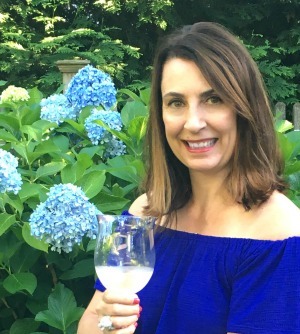 Sorry I missed the party – these are great ideas!